The Rebel Sweetheart. 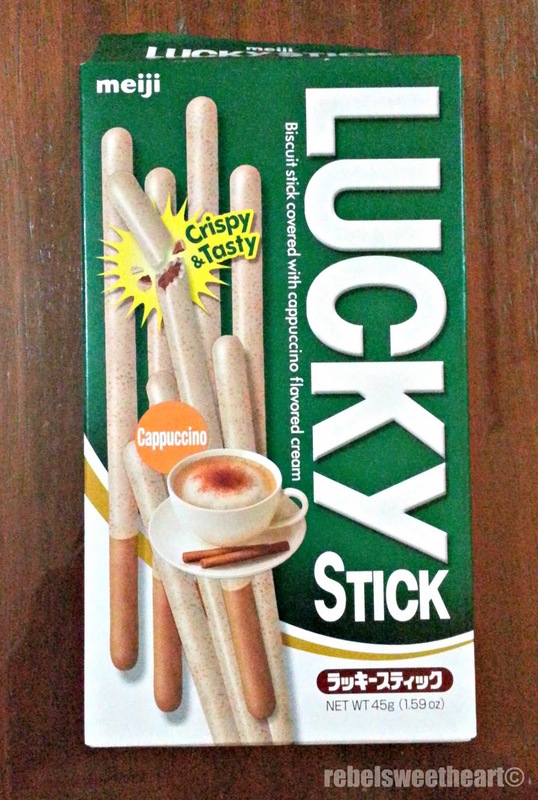 : Foodie Goodie | Meiji Lucky Stick Cappuccino. While grocery shopping earlier, I chanced upon an interesting snack item in the 'International Food' section of SM Supermarket. 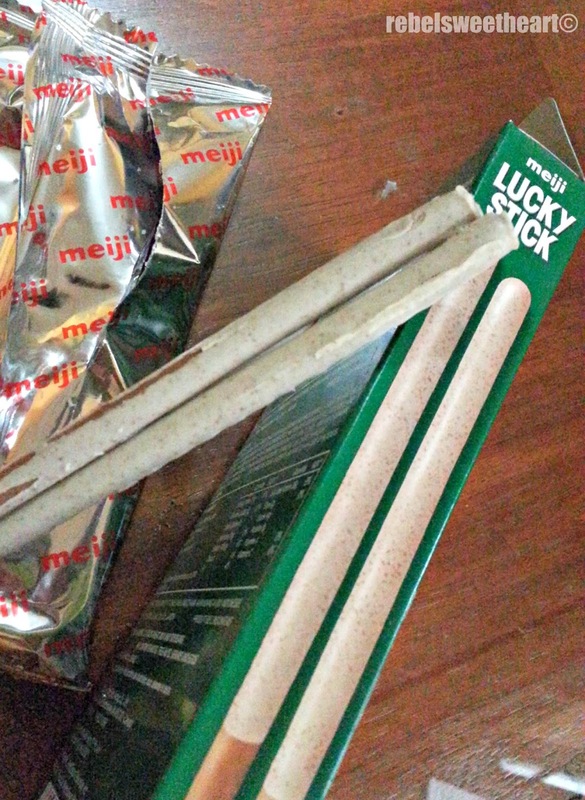 It's called Lucky Stick, from the Japanese brand Meiji. And I find it interesting because of - you guessed it right - the cappuccino flavor. 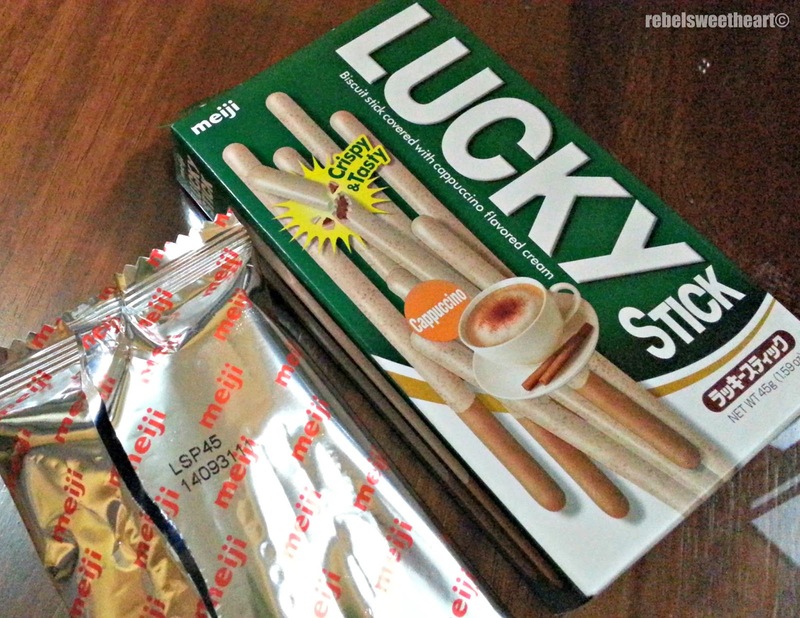 Made in Indonesia under license from Meiji Japan. Oh, and each pack is worth 220 calories. OMG, haha! 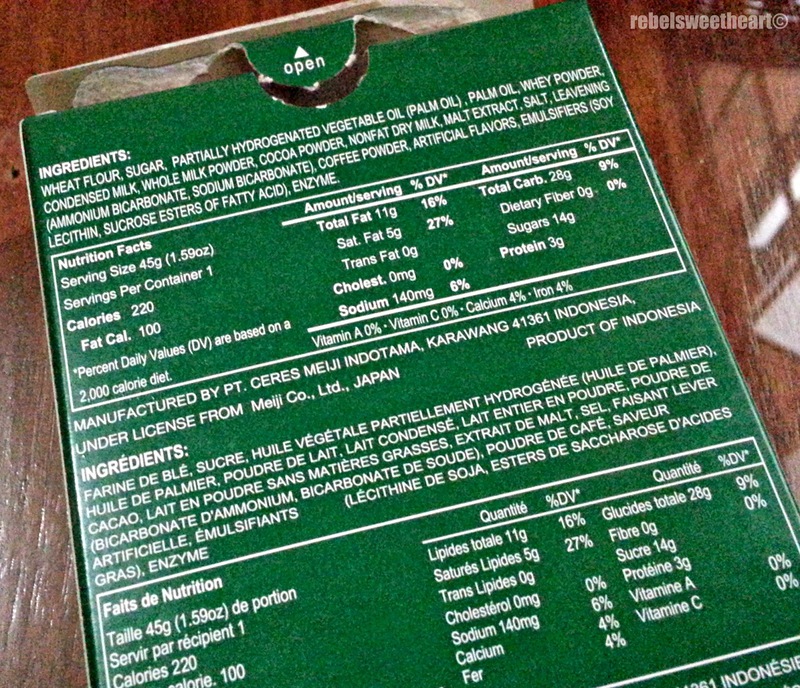 Open the foil pouch and the first thing you'll notice is the delicious waft of creamy coffee. The coating has just the right sweetness - not bland, not saccharine - and tastes a lot like cappuccino, too. 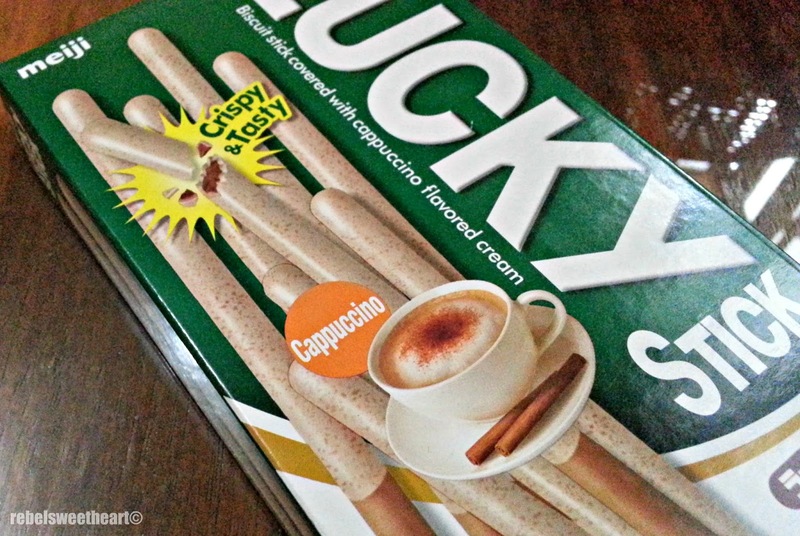 The flavor actually reminded me of Maxim Cafe Latte, my favorite Korean instant coffee mix. 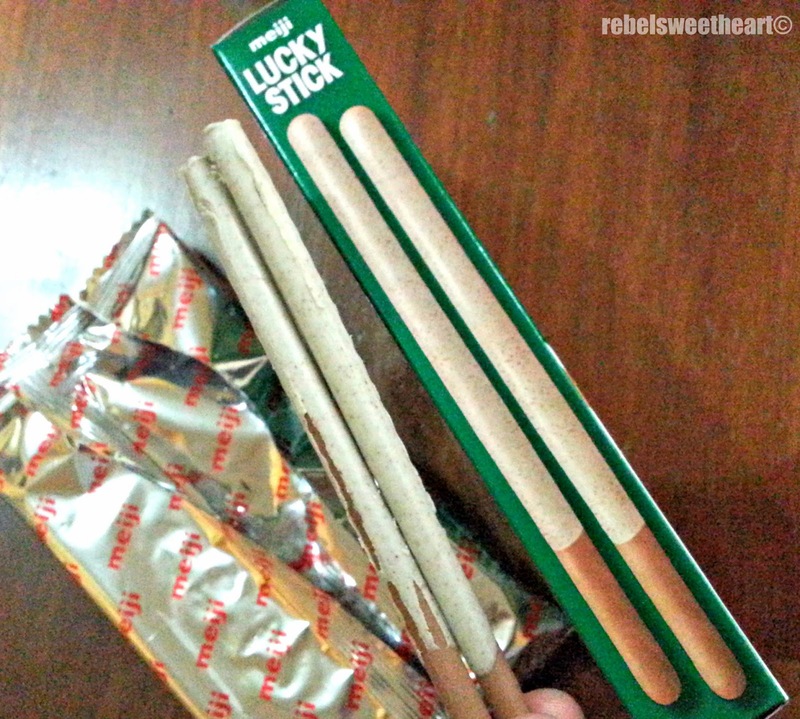 The sticks are of the same size as the illustration on the side panel. As for the biscuit itself, they were pretty crunchy but didn't have much flavor. But we (my son and I) like it, anyway. Haha! Battle of the biscuit sticks. Shared with Food Friday and Food Trip Friday. How interesting! I'd love to try these. these are awesome! not a good idea to discover when i am trying to cut down on my caffeine but who can resist! I can almost smell them from here.. I have never heard of that brand before but I like the pokey sticks. These sound delicious! would love to try these!